Three thousand meters below the plains southwest of Johannesburg, teams of miners are toiling to revive the gold industry that underpinned South Africa’s economy for generations. The South Deep mine was built to target the world’s second-biggest known body of gold-bearing ore, a deposit that could produce for the next 70 years and slow the steady decline in the country’s production. Trouble is, the mine’s not making any money for owner Gold Fields [JSE:GFI]. Grappling with the cost and technical challenges of working so far underground, Gold Fields has consistently missed production targets. All told, the company has spent about R30bn on the mine. Chief Executive Officer Nick Holland remains confident the mine can succeed. For decades, South Africa’s mining industry was able to rely on an army of cheap labour and productivity has lagged behind other parts of the world. Ore is often still extracted by individual miners wielding hand-held drills. Much of Gold Fields’ spending is focused on mechanising the mine to increase output and productivity. The company is stepping up workers’ training in the use of modern equipment and technologies - bringing in instructors from Australia - and shifting to remotely controlled operations. 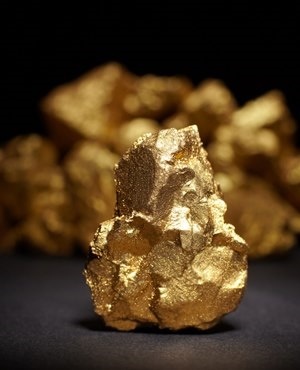 The company has a new target of mining 500 000 ounces of gold a year at South Deep by 2022. If progress toward that goal falters the company may have to reassess its entire strategy for the mine, Holland said, but so far the plan seems to be on course. Beyond the fortunes of Gold Fields, the success of South Deep is critical to the future of South Africa’s gold-mining industry. Johannesburg, Africa’s richest city, was built with profits from gold seams running through the region, but the country’s gold production dropped 16% in May from a year earlier, falling for an eighth straight month, as aging infrastructure, depleted reserves and accidents raise costs and curb volumes. Holland said output will probably drop to less than 100 tons over the next four to five years from about 140 tons currently. A new mining charter aimed at spreading the economic benefits of the industry more widely through society risks eroding profitability still further, Holland said. The South Deep mine, Gold Fields’ only asset in the country, holds the world’s largest gold deposit after Grasberg in Indonesia and accounts for 60% for the company’s mineral reserves. Last year, the company set the new target of half a million ounces of bullion a year by 2022, abandoning an earlier forecast of as much as 800 000 ounces. In April, estimates for this year were scaled down to 244 000 ounces from 321 000 ounces. Contributors to the mine missing its output targets included slow progress in training local workers on the new mining equipment, tremors deep underground, worker deaths due to rock falls and a series of mistakes in the mine plan. Gold Fields isn’t in the business of running loss-making operations and each of the company units must make at least a 15% margin, Holland said. Shareholders "frustrated” by delays in unlocking value at South Deep may have to weigh the benefits of waiting to receive an “annuity” for the next five to six decades, the CEO said.